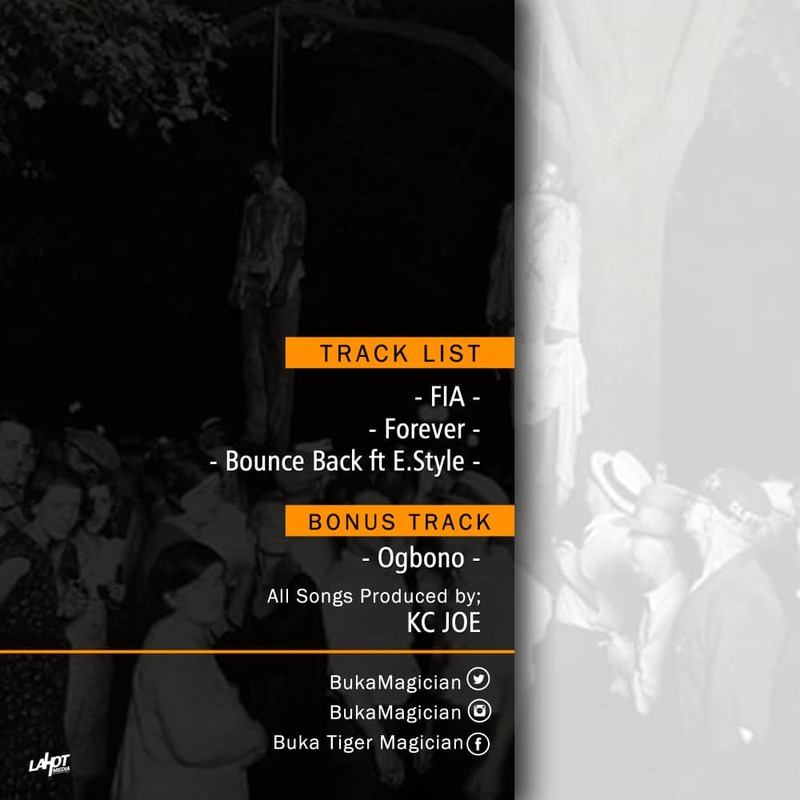 Mmbm empire rapper/singer buka magician drops a new vibe..blacc Oktober,EP for his fans which contains: Fia, forever and bounce back featuring E-style. All songs wriiten by buka except the featured song which was co written by himself and E-style and also all the songs was produced and mixed by kecyjoe. Download and enjoy. 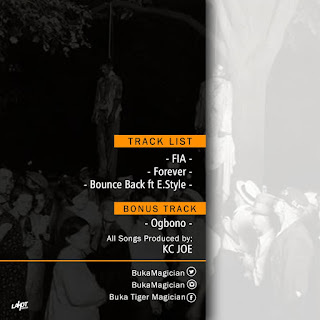 There has been no response to "Buka Magician - blacc Oktober The EP"